We provide carpet cleaning in Tufnell Park (N7, N19, NW5) and our London carpet cleaners cover all the areas of Camden! Carpet cleaning in Tufnell Park N7 is a tough job and requires a professional crew to get it done right the first time. We at Magic Carpet Cleaning have the right people, machines and experience to take on every job. No matter its size or difficulty. Our local carpet cleaners are qualified experts who can work with the latest hot water extractors or provide fantastic stain removal results. Just give our team a call on 020 8861 0979 and you can forget about those nasty carpet stains once and for all. You can claim your free price quote which comes with no obligations whatsoever! Our Tufnell Park carpet technicians offer this and then some. Our crew is highly skilled and certified in cleaning. Magic’s Tufnell Park technicians are trained in steam cleaning for that perfect disinfecting clean, as well as dry carpet treatment for quick clean results. Got a spot on that rug that will not come out? Magic Tufnell Park N7 expert team can fix that and all other spots on upholstery as well. There is no job too big or small for the staff at Magic’s Tufnell Park N7 carpet cleaners. 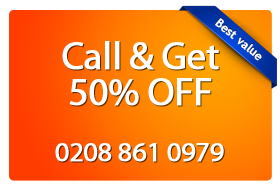 Get your absolutely free price quote on 020 8861 0979 now and the Magic Carpet Cleaning team can be at your address in no time. Our customer support assistants work 24/7 to answer your questions and guide you through our booking process. No need to waste valuable time or leaving your carpet with that awful stain! We can come even the same day, which is subject to our availability in your area. On the other hand, you can get in touch via our online booking form.